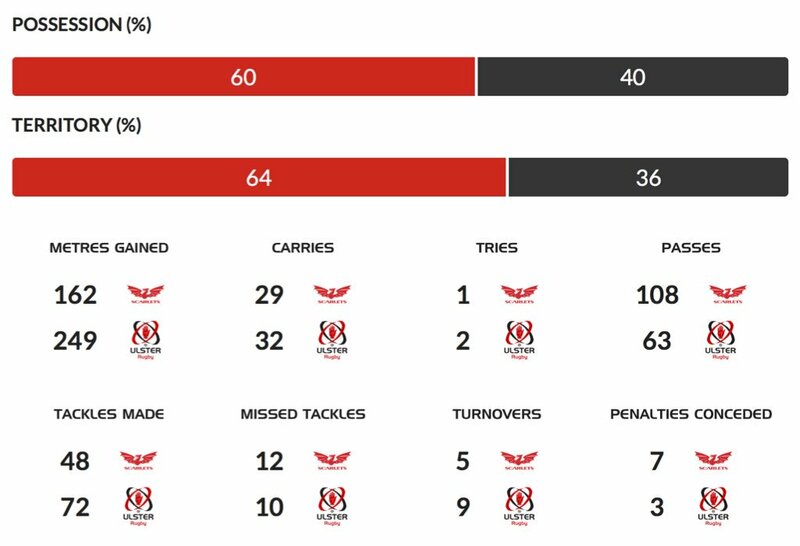 Scarlets have won 160 rucks so far this game. Scarlets have won 140 rucks so far this game. Jonathan Davies sets up the try. Incisive passing by Scarlets is finished off by Dan Davis, as he goes over for the try. What a run here by Dan Davis as they gets over the gainline!. Tom Prydie makes the break as the defence re-enacts the parting of the red sea. Fabulous play by Scarlets has led to Steff Evans being able to wriggle through a gap. Ulster decide to make a substitution, with Johnny McPhillips getting some game time. Ulster decide to make a substitution, with Billy Burns being replaced. 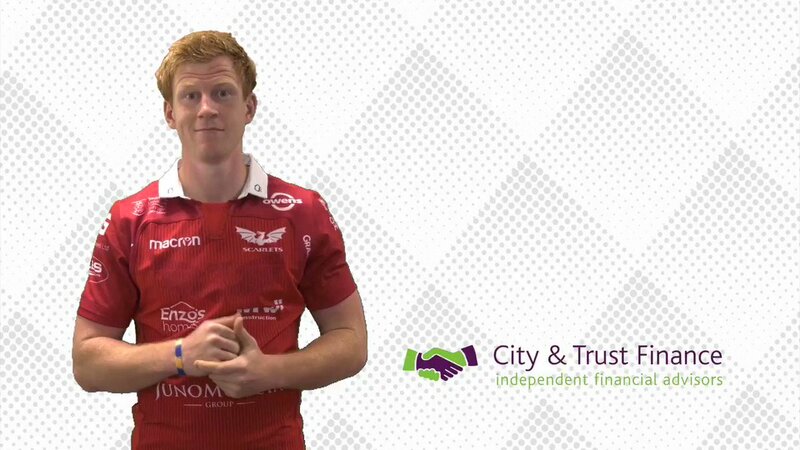 Scarlets make a substitution with Dan Jones coming on. Scarlets make a substitution with Rhys Patchell coming off. Scarlets have won 120 rucks so far this game. Scarlets sub Sam Hidalgo-Clyne comes onto the field. 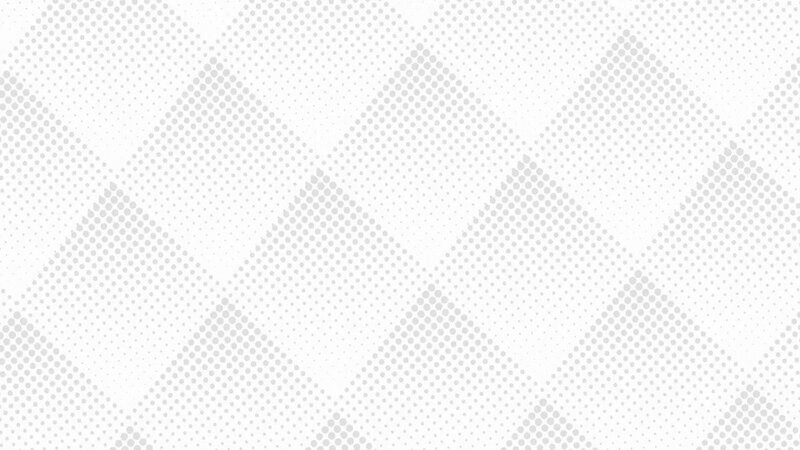 Steven Cummins has made 10 good tackles so far this game. John Cooney hits the right post with the conversion, failing to add the two points. Marcell Coetzee scores the try from close range. John Cooney sets up the try. Trouble here as Nick Timoney breaches the defence. Rhys Patchell makes no mistake with that conversion attempt. Johnny McNicholl sets up the try. Silky skills by Scarlets ends with a try for Steff Evans. This is dangerous for the defence as Steff Evans bursts through to advance the Scarlets attack. Scarlets decide to make a substitution, with Werner Kruger getting some game time. Scarlets decide to make a substitution, with Samson Lee being replaced. The defensive line has been broken as Jonathan Davies goes through the gap. 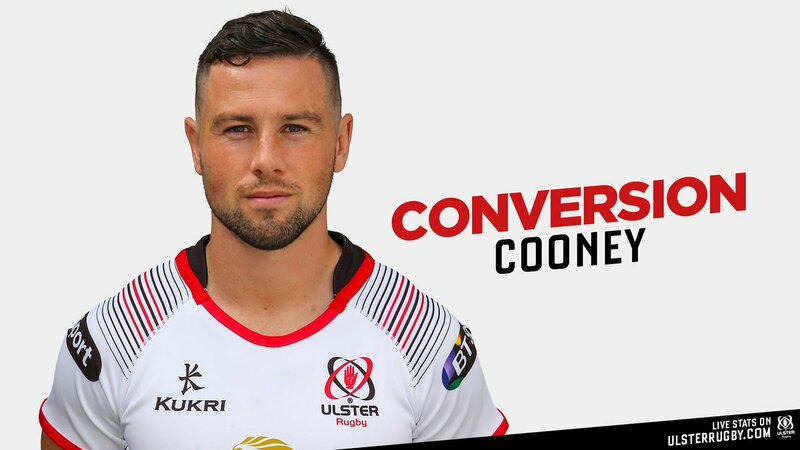 John Cooney converts the try. Spellbinding play by John Cooney is finished off with a try. What a run here by Will Addison as they gets over the gainline!. 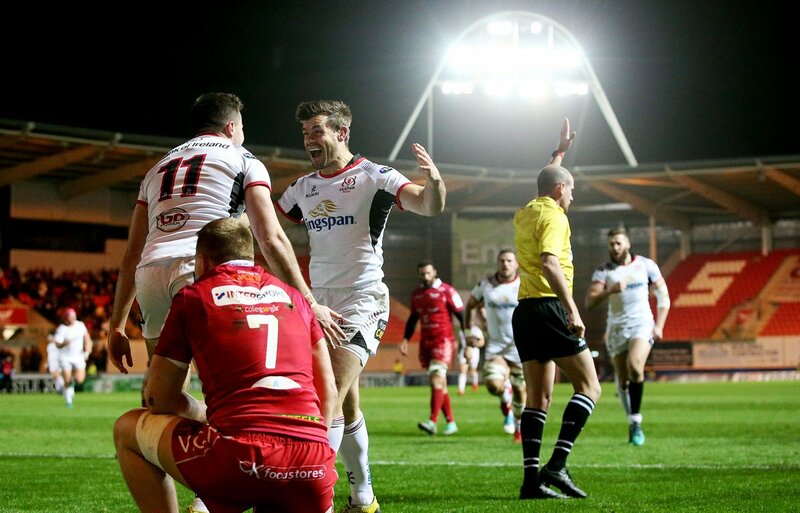 A wonderful passing move by Ulster is finished off by Will Addison. Scarlets make a substitution with Hadleigh Parkes coming on. Scarlets make a substitution with Kieron Fonotia coming off. Jonathan Davies makes the break as the defence re-enacts the parting of the red sea. 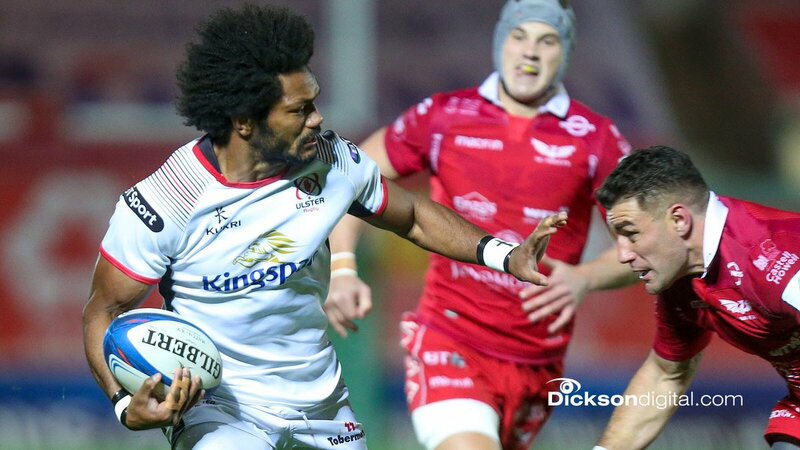 A series of passes by Ulster results in a try for Henry Speight. Trouble here as James Davies breaches the defence. Scarlets sub Dan Davis comes onto the field. Uzair Cassiem departs for Scarlets. Rhys Patchell has kicked a conversion. That's a great try assist by Gareth Davies. Scarlets are only a few metres out, surely they must score! And they do with Steff Evans touching down. 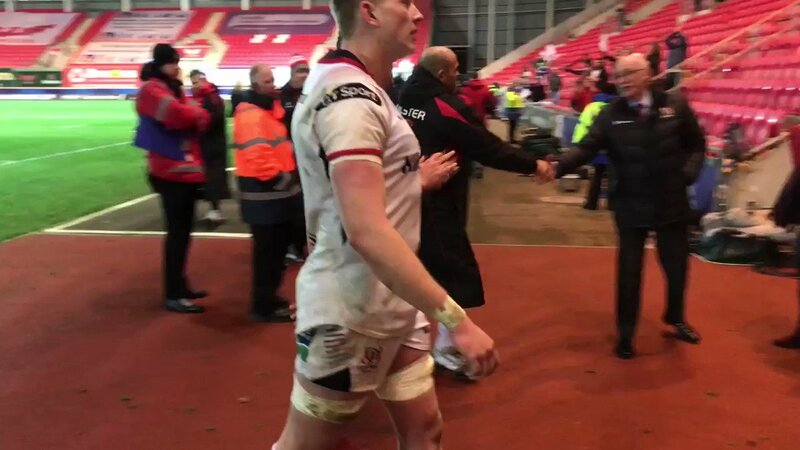 Nick Timoney comes on for Ulster. Sean Reidy leaves the field. John Cooney steps up to take the penalty but pulls it wide and to the right. This is dangerous for the defence as Billy Burns bursts through to advance the Ulster attack. John Cooney has hooked the conversion to the right of the posts. Will Addison sets up the try. A gap opened in the defence and Will Addison took full advantage. 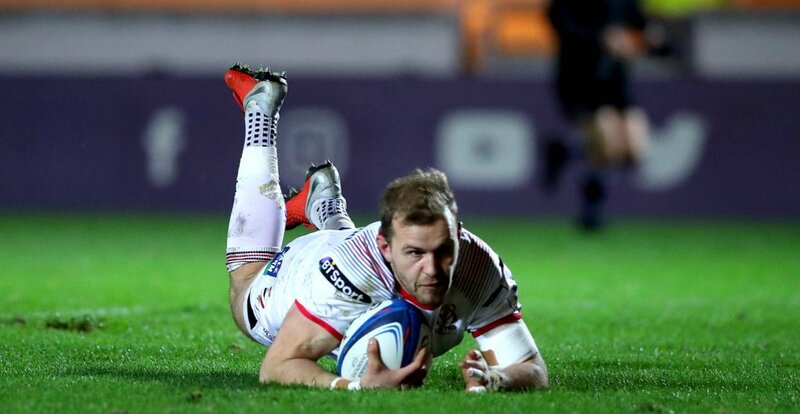 Great hands by Ulster leads to a try for Jacob Stockdale. John Cooney kicks the penalty. The defensive line has been broken as Henry Speight goes through the gap. Rhys Patchell has kicked a penalty goal. Clock has turned 80. Penalty Scarlets. Line out on Ulster’s 10 metre line. 80' | Late converted try for Scarlets. It's now a one-point game (24-25). 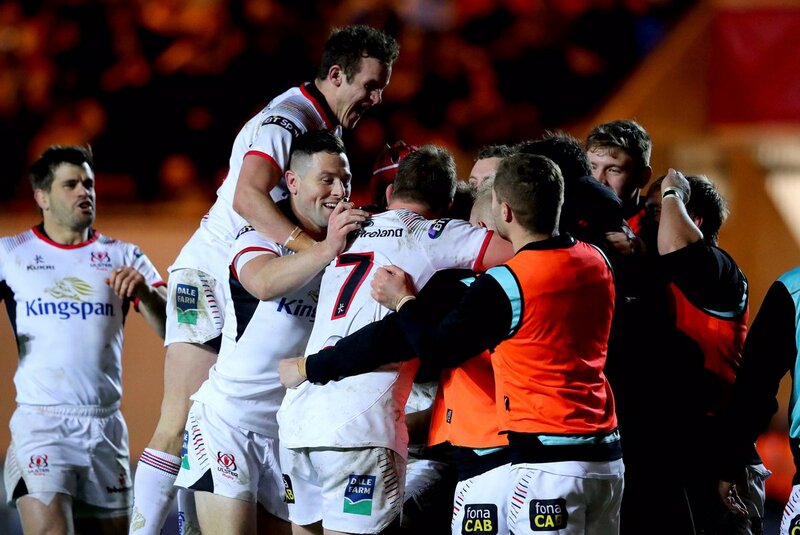 78' We're in Ulster's 22. What looked like a try-scoring opportunity was lost but we're back in possession. 📸 | @marcell_coetzee’s bonus point try. Still 17-25 to us! That's the four try bonus in the bag. We lead 17-25! Was there a knock on earlier in the phase? We head to TMO for confirmation. Great scrum from Scarlets forwards. We go again. 52' Advantage Scarlets. Scrum in the shadow of Ulster's posts. 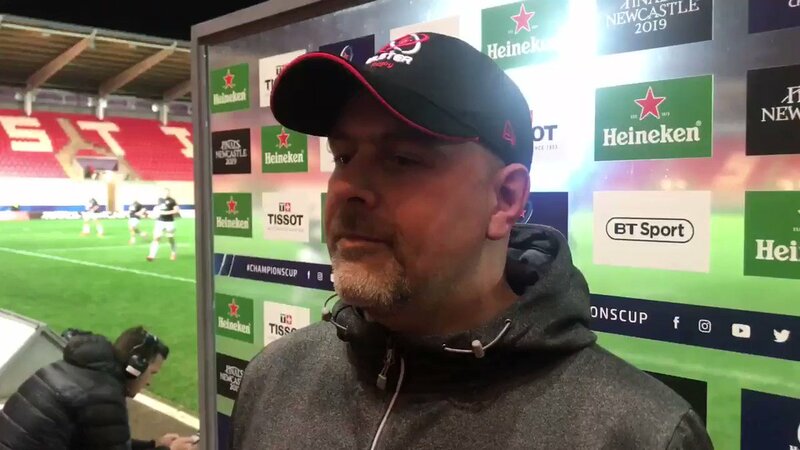 Sgrym ymosodol i'r Scarlets yng nghysgod pyst Ulster. 52' Scarlets on the attack in their 22. This is more like it! 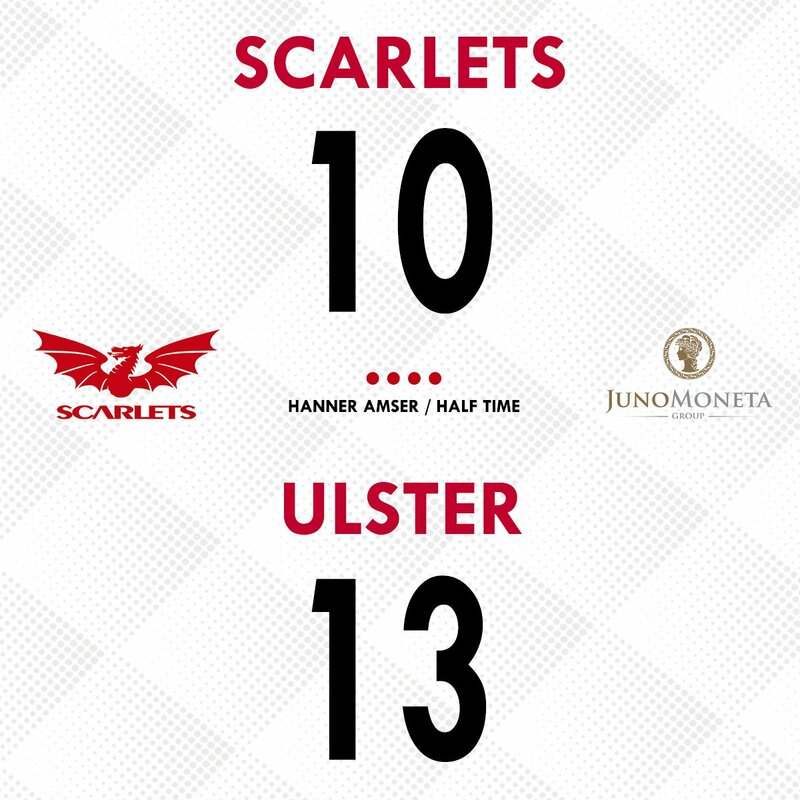 48' Ulster line out on Scarlets' 22 after referee awards the a scrum penalty. 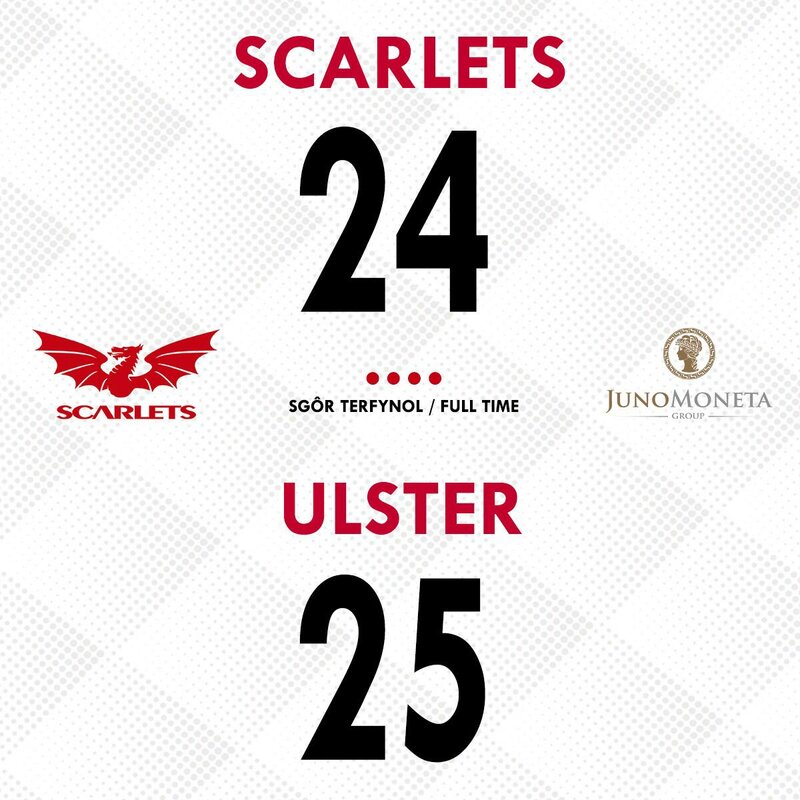 Lein i Ulster ar linell 22ain Scarlets. 29' We're back on the attack in Ulster's territory. James Davies goes on a rampage and we're up in their 22. We're penalised for holing on.